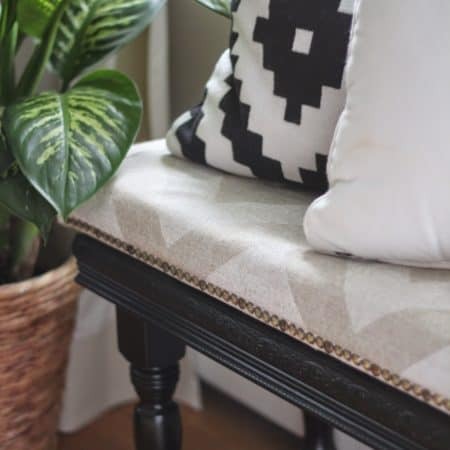 I know everyone loves these little tried and true hacks for house and home, and at the start of the year I vowed I’d start delivering them again. I can’t promise any sort of frequency but I’ll sprinkle them in here and there when I think of something you HAVE to know. Today’s tip: how to keep your fitted sheets (and mattress pad) from springing off the corners of the bed and making you crazy every.single.night. The secret is binder clips!!!! 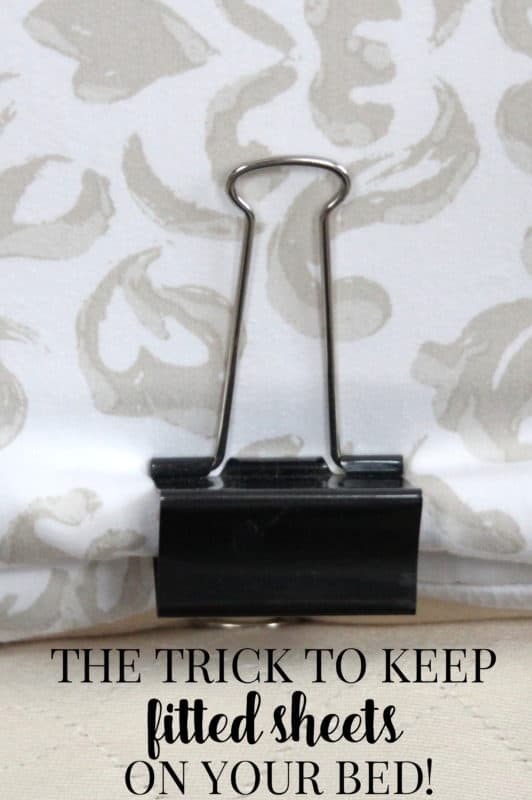 Just grab the edge of the sheet (and mattress pad if that sucker doesn’t stay in place either) and clip them to the edge of the mattress at the top corners of the bed (facing the wall – so you don’t see it). 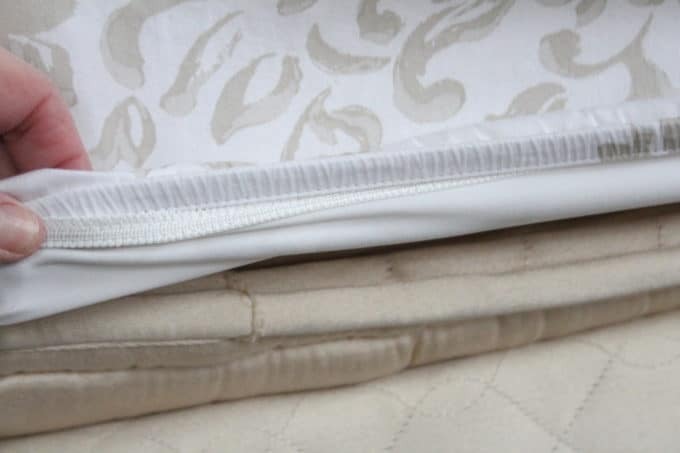 Our mattress has a pillow top, but even if yours doesn’t, most mattresses have a thick piping around the edge. 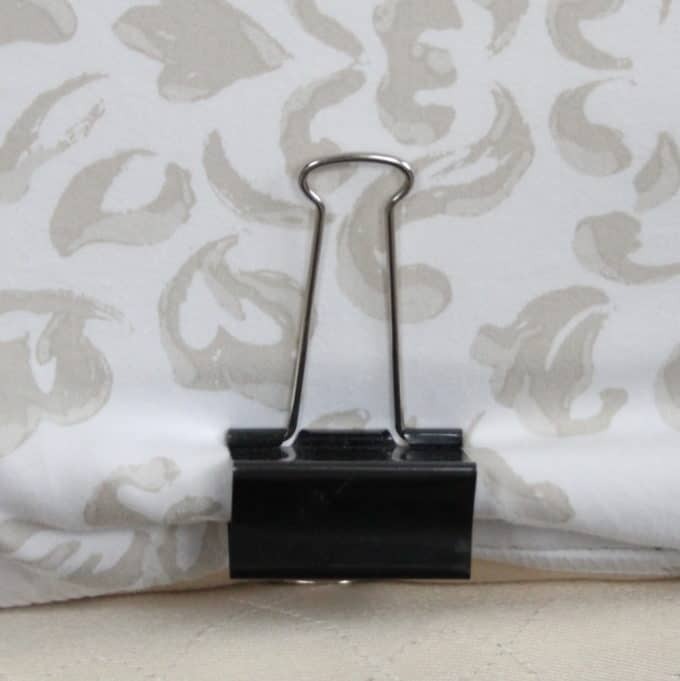 Tuck the bottom of the binder clip between the mattress and boxspring and you’re good to go! 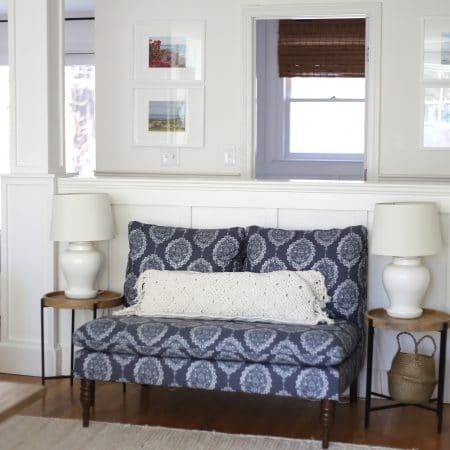 Here’s another great tip from the archives you are not going to want to miss. Completely earth shattering!!! Where is your duvet from? Hi Jenny, it’s from Bloomingdales about 10 years ago. 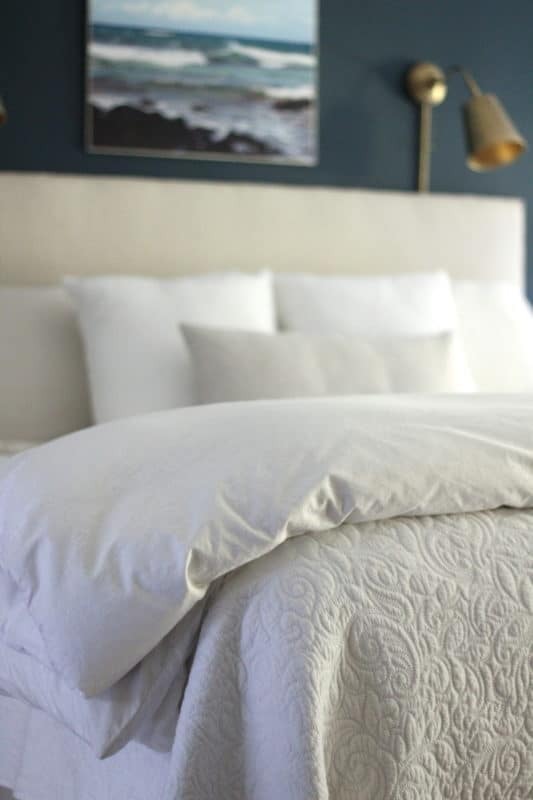 It’s been bleached and washed about a million times and still going strong….definitely a good place to invest in a duvet!